Grand finale and good-bye for just a while! We’ve been a little quiet since the great day, recovering and basking in the glow of a wonderful, wonderful, gathering. 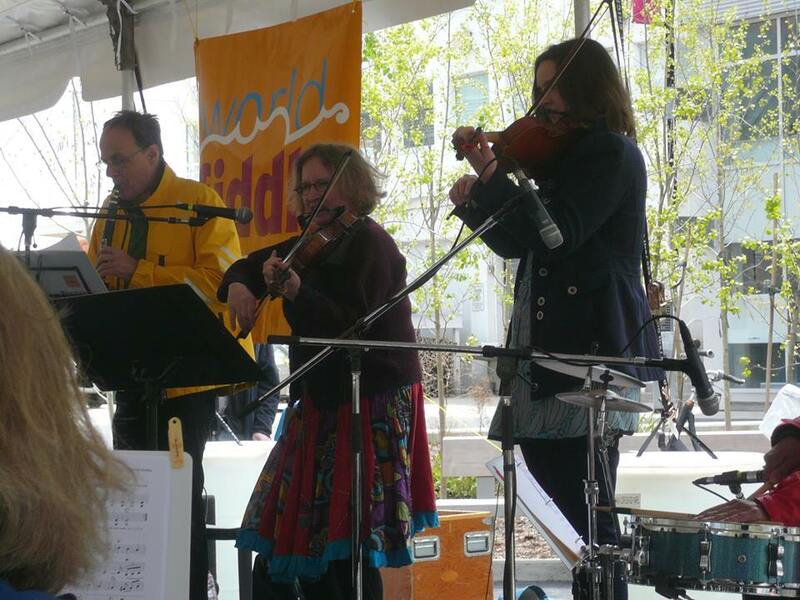 Even though the weather was a little on the chilly side, we warmed it up with close to 75 fiddlers, plus lots of people came to listen and dance along. From the first note everyone sounded fantastic! 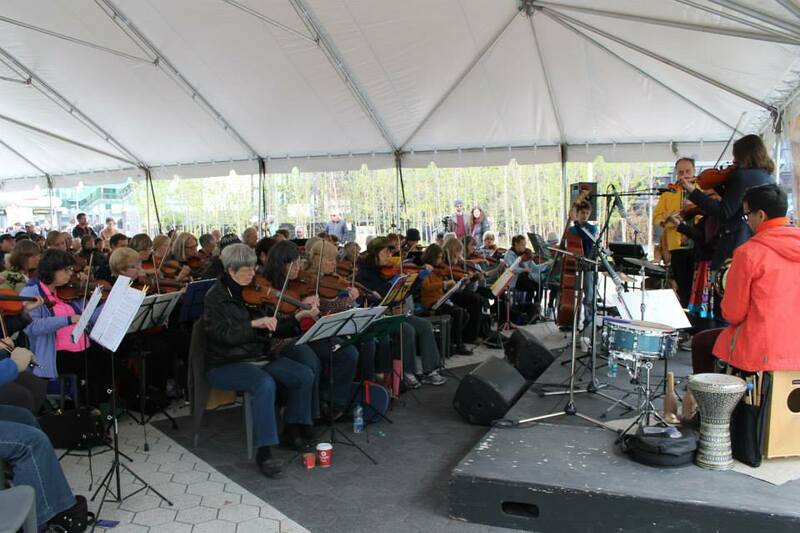 Players who didn’t know the melodies hung-in with rhythm, chords, and offbeat shots and chops, and the band was splendid – overall the effect was truly magical. 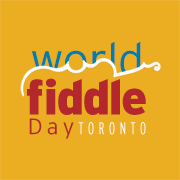 Already looking forward to next year – World Fiddle Day Toronto is planning an even bigger event for next year’s celebration. 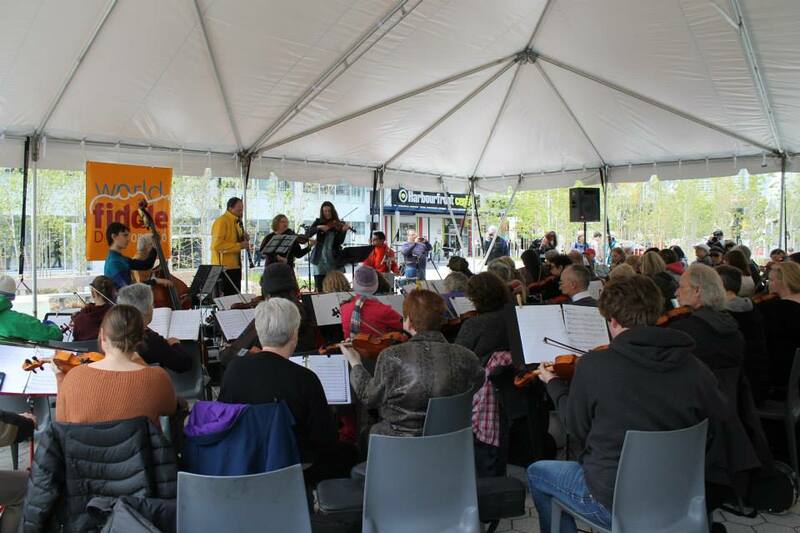 Check-out our facebook page to see many more photos from the practise sessions, our benefit concert, and from Harbourfront. See you next year – spread the word, stay in tune!